How dreamy would it be to spend the whole weekend in that cozy looking room with no interruptions, tons of good books, a bottle or two of good wine, a personal chef at your disposal and maybe a DVR full of your favorite shows??!! Oh my... My weekend won't be quite like that, but you know me... I'll make it as relaxing as possible. I'm also hoping to go see Safe Haven at the movies. I'm always a sucker for a good sappy love story. Aren't you?? Here are a few good links for your weekend! See you next week! A hot mess that looks SO good!! 40 handwritten and fun graphics for your blog. Did I mention they are free??? 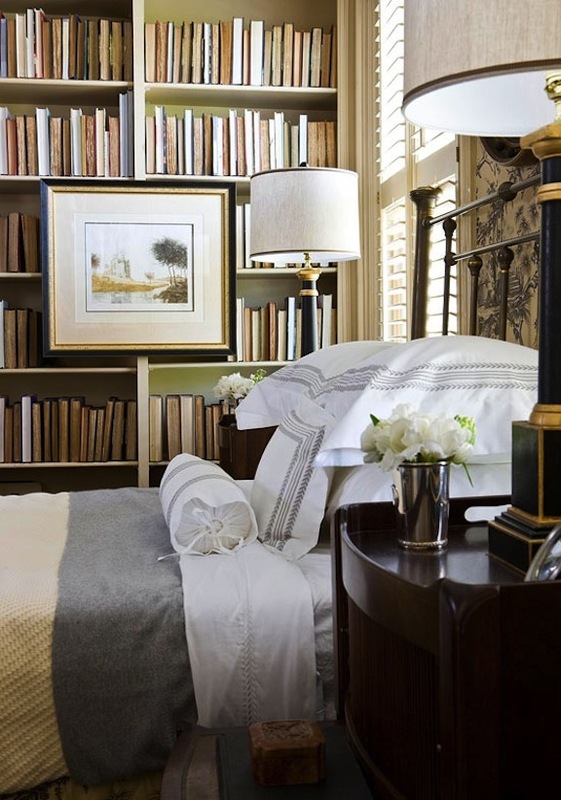 Gorgeous....a beautiful comfy bed, a bookcase of books...who needs to get out of bed? Oh how I love looking at the links you post, it's like a little vacay from my work at the computer. Have a wonderful weekend Tiffany!!! !